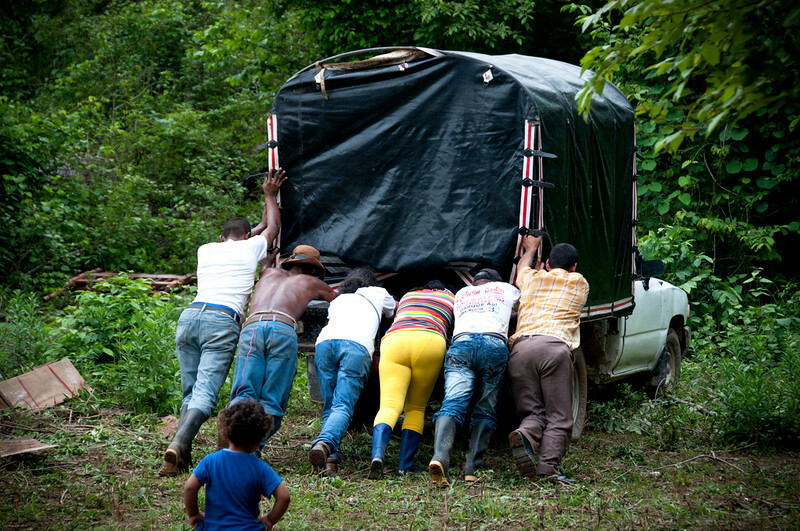 A truck carries some furniture, a goat, chickens, mattresses and, of course, hope; hope for a new beginning. The truck moves slowly on a dirt road but, due to its poor condition, will not reach its destination. Families will have to carry their belongings on their shoulders during the last stretch of the journey to the camp.